Watch live broadcast during the Sabbath worship service from the Deaf Evangelistic Adventist Fellowship at 11:30 am Eastern Time. Listen to God's message given in American Sign Language. Whether in giving Bible studies, interpreting, or just being a friend, everyone (even those without signing skills) has a part in Deaf ministry. Explore some ideas as to what you can do. Interesting to learn about Jesus? Come join Deaf Bible School for amazing online lessons! Its FREE! Sharing the Three Angels' Messages with the Deaf. 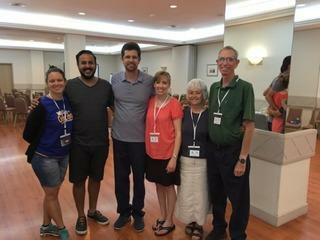 This mission includes evangelism among Deaf people and training them to become true disciples of Christ so that they can be equipped to do their part in spreading the Everlasting Gospel. Look through our DVDs, books, and more! 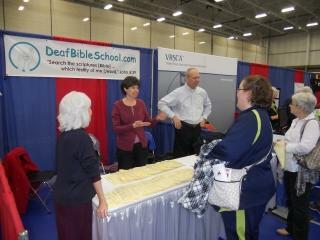 If you are looking for evangelistic tools to share with Deaf people, you are at the right place. Why Three Angels Deaf Ministries? © 2019 Three Angels Deaf Ministries.